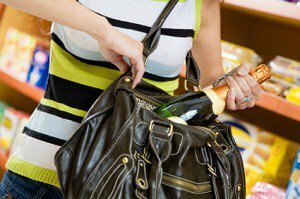 In Texas, theft & shoplifting are considered to be "crimes of moral turpitude" — in relation to dishonesty. Consequences of these crimes may surprise you since the nature of the theft can vary so widely. The severity of penalties following a theft conviction can range from minor misdemeanors (Class C) to major felonies, depending on the value of the stolen items or any damage that took place during the event. When it comes to finding the right lawyer to handle your case with diligence and aggressiveness, look no further than my office. After forging a career built on exploring all options and vigorously fighting charges to get cases dismissed, I am focused on protecting your rights, your freedom, and your future. It's important to me that you have confidence in coming to the right place, so call me for a free phone consultation and we'll talk about what's best for you. When you’re facing the embarrassment of a theft or shoplifting charge and the uncertainty of whatever penalty the court may have in store, you need the immediate help of a skilled attorney. My experience includes all kinds of theft cases ranging from relatively petty misdemeanors to serious felonies. Contact my office or call me for a free phone consultation to discuss your options.